We integrate with top retail technology platforms! True omnichannel solution with a bi-lateral sync for a seamless experience. Endless options with this robust, customizable omnichannel solution. Merge your brick and mortar and online channels with a streamlined solution. Engage customers & deliver a seamless experience across all channels. Connect your customers and merge your email marketing with your POS. Easily engage customers with targeted, data-centric loyalty campaigns. Build meaningful, lasting relationships and connect with your customers. 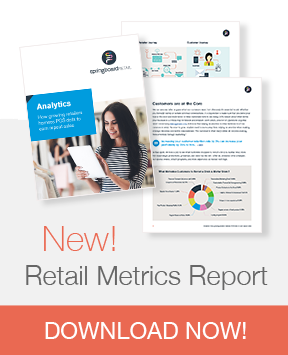 Boost sales by creating a unique personalized experience based on data. Integrate with the Clover MINI and get an elegant but powerful solution. Access your choice of payment providers, including Heartland. Seamless commerce and credit card processing for businesses of all sizes. Access the wholesale buying process online and improve retail performance. Inventory planning expertise that leverages data and insight from POS. Discover new brands and make your buying process fast and easy. Save time, integrate seamlessly with easy-to-use accounting software. Have a question about a Springboard point of sale integration or want to discuss another? Currently a Springboard Retail customer ready to integrate with one of the platforms listed? Log in now and go to Settings.